Welcome to Marunouchi Internal Audit Office! Conveniently located in central Tokyo, we are an internal audit outsourcing company assisting corporations in dealing with the increasing complexity and pressure of audit requirements. We are committed to quality, and our services are provided by experienced, qualified Japanese CPAs. 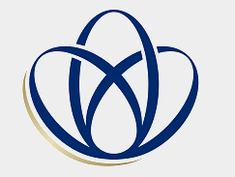 Marunouchi Internal Audit Office was founded in 2017 by Youichi Oda. During his 11 years at E&Y, he witnessed the many challenges surrounding internal audit teams in Japan. Companies are operating under dramatically changing economic conditions, and for businesses to succeed, it is essential that in-house internal audit staff have access to expert local support and advice. Marunouchi Internal Audit Office is dedicated to providing true internal audit services which enable the early identification of risk, save corporations from fraud, and build a foundation for continued business growth. In recent years, there have been many developments regarding corporate governance in Japan, such as J-SOX, outside directors, companies with audit and supervisory committees, and implementation of corporate governance codes. ✓Are your internal audit staff familiar with the new corporate governance environment in Japan? ✓Does your company have internal auditors who can give honest, constructive criticism without fearing repercussion? ✓Is there a widening gap between your future vision and what is happening at ground level? Traditionally, businesses moved at a slower pace and most internal audit staff would not have faced complex situations such as fraud. But in today’s world, where moving into new and unknown markets are imperative to maintain a competitive edge, internal audit teams must be equipped with the knowledge and insight to manage risk effectively. All fraud and potential issues must be dealt with swiftly, and procrastination often has dire consequences. The success and growth of an entire organization is often dependent on whether or not an issue can be correctly identified, objectively reported, and appropriately dealt with at its root cause. An organization without appropriate controls leaves itself open to public scandal and risks losing all trust. In healthcare, medicine is moving from treatment to prevention, recommending regular check-ups, identifying risk factors, healthier lifestyles, and a good relationship with your practitioner. A proactive preventative internal audit approach can save your company from fatal incidents by treating symptoms at an early stage. Despite the importance of robust internal audit systems to compete in a global economy… there are simply not enough high quality internal audit support services in Japan to meet demand! Marunouchi Internal Audit Office helps you discover fraud before it is too late, and address the cause and background in a timely manner. If you agree with our synopsis, please contact us and share your situation with us at a consultation session. Are you struggling to secure talent to deal with increased internal audit responsibilities? Do your internal audit staff have any training needs? Are you dealing with a post-merger situation involving different corporate cultures? Are you aggressively pursuing cross-industry M&A activities? Are you in need of objective advice on Japanese corporate governance issues and regulations? Are you facing any issues which are difficult to raise internally? Are you at a loss on how to deal with a potential fraud case? Do you need external assurance on whether your internal audit plans and reports are sufficient/effective? Do you want to assess whether you have budgeted correctly for an effective internal audit? Do you want to spend more time on forward-facing strategic matters? Are you seeking external advice on accounting/audit/tax/regulatory issues? Do you want to enhance your internal audit process to achieve better corporate governance? Marunouchi Internal Audit Office can help your organization achieve a responsible internal audit for the true growth of your business. If you share our commitment, contact us now. Preliminary counselling is very important to us. It gives us the necessary information to accurately assess the time required for the audit and enables effective budget control. As external consultants, we can provide objective, unbiased internal audit advice. Fully qualified Japanese CPAs will support your internal audit process, ensuring quality results. In-house staff can increase their learning curve by working together with our experienced professionals. Contact us now to discuss how Marunouchi Internal Audit Office can add value to your internal audit process.